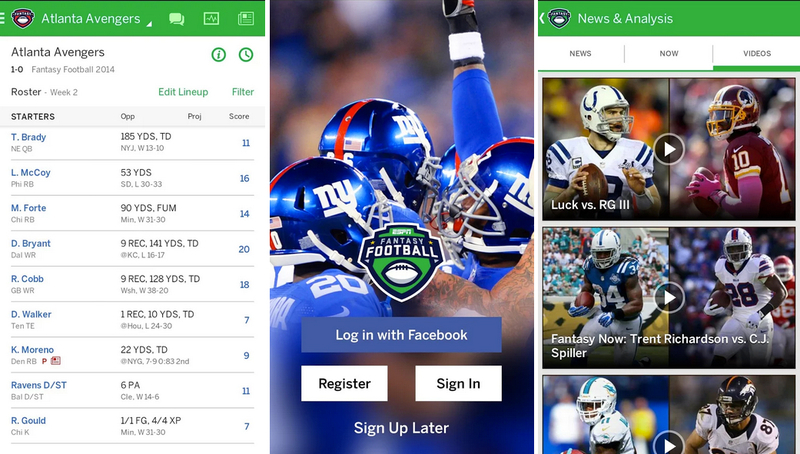 Over on Google Play, league managers of fantasy football teams can grab the updated ESPN Fantasy Football application, complete with new features and a hot new look. Included in the update are alerts, which will notify you when trades are proposed, injuries that take place, and when points are scored, plus managers can now manage their league’s draft from within the application. As for the new look, it is quite minimal. Most controls are found at the bottom of the display, with the aesthetic being rather bright and easy to read. I haven’t used the older version of ESPN’s fantasy app, so you will have to decide for yourself whether this new UI is better or not. Take a look below for the full changelog. Alerts! Get notified of trades, injuries, and scoring updates. Sign in or register right from the app or use Facebook to login! Draft: live auction and snake drafts, including access to our Mock and Live Draft Lobbies.